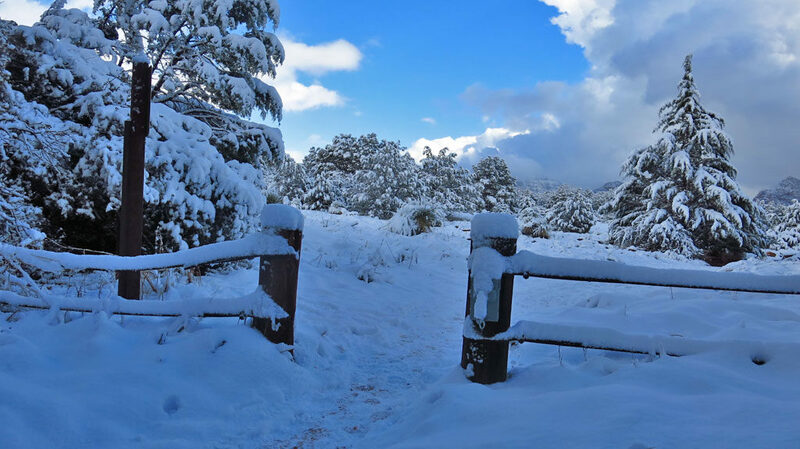 Normally we ride mountain bikes when in Sedona, but overnight on Christmas Eve the area received 4″ of fresh powder. 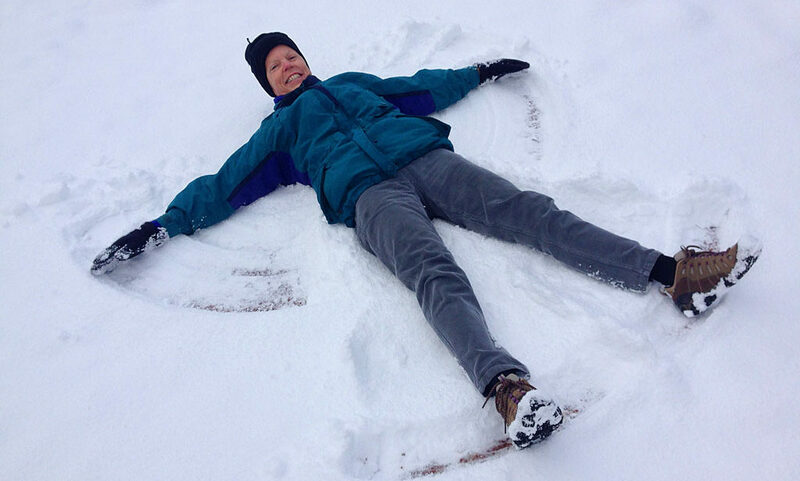 Since there is nothing quite as spectacular as fresh white snow on red rocks, we abandoned the bikes for hiking boots and tennis shoes (as the case may be). Bell Rock near the Village of Oak Creek is reputed to have strong Vortex energy all around it. In 1987 over 5,000 New Agers gathered here to be part of the worldwide Harmonic Convergence, waiting for Bell Rock’s top to open and reveal a rising spaceship. 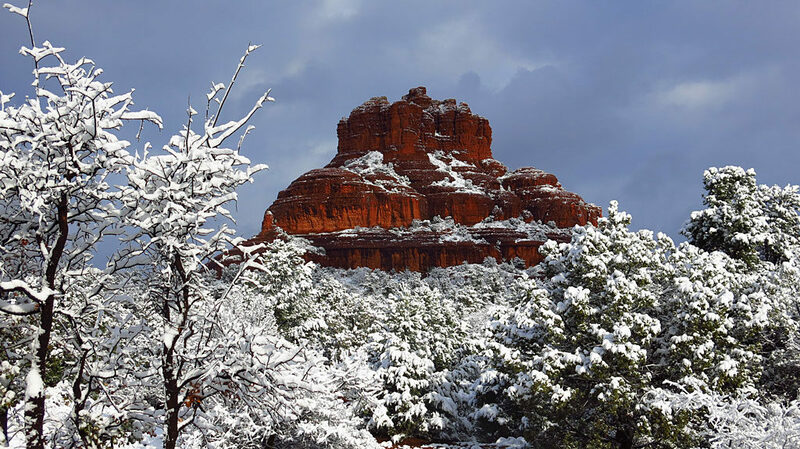 This is perfectly normal behavior in Sedona, or any part of the world where groups of moonstruck people congregate. 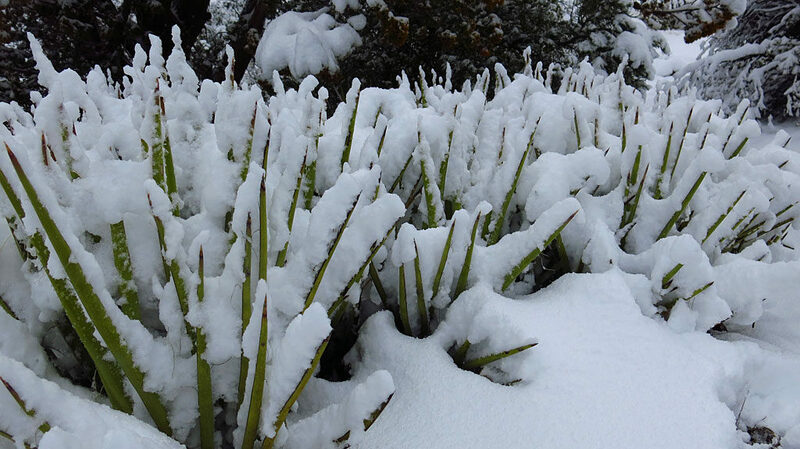 High desert plants are very tolerant of the snow – any water is good water. 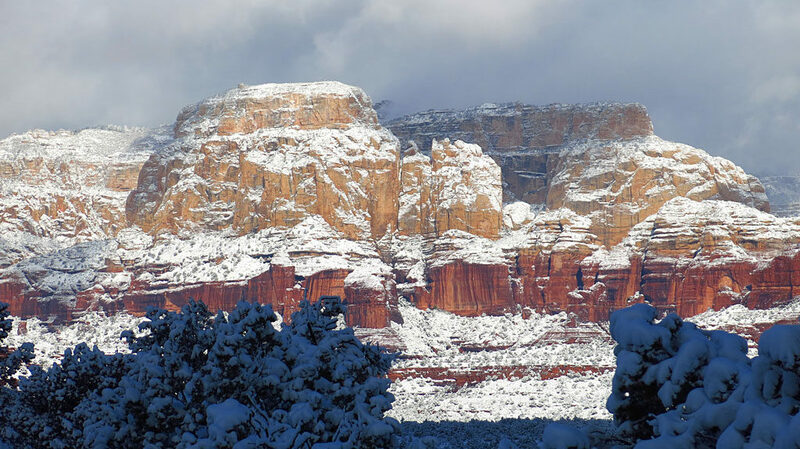 Capital Butte towers to the north of Sedona. 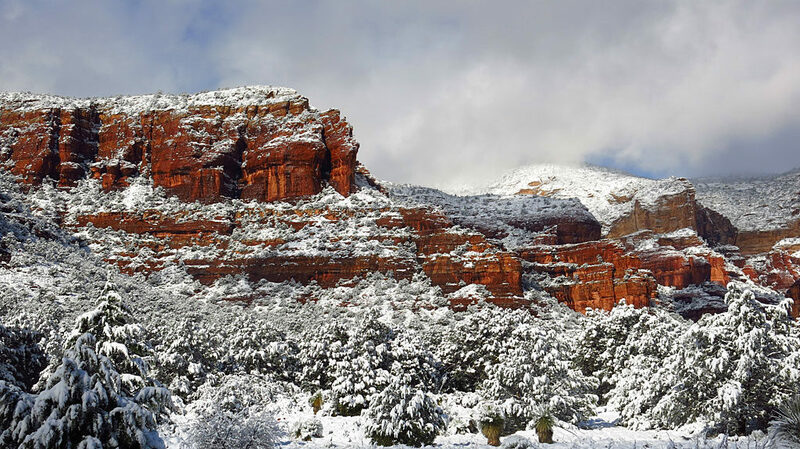 A layer of cream-colored Coconino Sandstone lies on top of the reddish Schnebly Hill Sandstone near Boyton Pass Road. Looking up at cloudy Bear Mountain from the Fay Canyon Trail. The standard artsy-fartsy, Christmasy photo. Loved these! 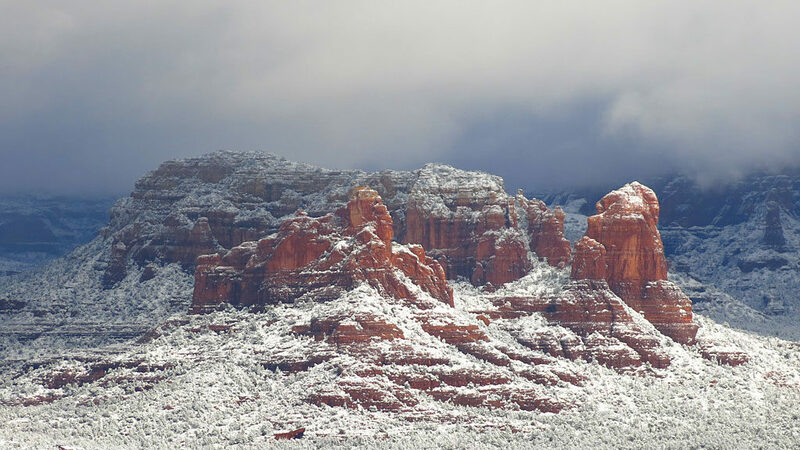 Always enjoyed Sedona after a beautiful fresh snow.